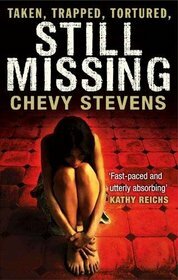 Never Knowing is Chevy Stevens’ second psychological thriller, following the success of her first novel, Still Missing, which won the International Thriller of the Year Award in the Best New Novel category this year. Set in Canada where the author lives, both novels have been greatly praised. Never Knowing (see the Shots review of the novel) was published in the US earlier in 2011 and is now available in the UK as an original B format paperback. It is the story of how Sara, adopted at birth and now about to marry the man she loves, decides to track down her birth parents. Having recovered my breath after reading the terrifying results of what happens when she does, I was delighted when the author agreed to this interview. When asked how you came to write psychological thrillers, you have explained on your website (www.chevystevens.com) that you used to work as a realtor (estate agent in the UK) and that while you were waiting in houses for clients to arrive you spent your time dreaming up scenarios of the terrible things that could conceivably happen to you. Your first novel, Still Missing, sprang from one of these scenarios. Does Never Knowing also have such an origin – and also the planned third novel that will complete the trio? Never Knowing was inspired by a conversation I had with my editor about what it would feel like if you were adopted to find out that your birth father was an infamous serial killer, who’s never been caught. While researching some other story ideas, I’d learned about a horrific crime in Wells Gray Park that occurred years ago, and was still haunted by the image of this lonely provincial park and the brutal murder. I started thinking about all the parks across BC and the terrible things that could happen in them. The story took root and grew from there. For my third novel, Always Watching, I wanted to explore the character, Nadine, who’s the therapist in my first two novels. She plays a pivotal role, though a silent one, and I was excited to learn more about her. I’ve set this book again on Vancouver Island, but mostly in Shawnigan Lake, which is where I grew up. In the 1970s there was a commune out by a river, and I started imagining what might’ve happened if they’d been a cult. Then I learned about Repressed Memory Syndrome and that became the basis for my story. Still Missing covered the aftermath of the abduction of its protagonist, and Never Knowing raises the psychological implications of several side issues apart from the central father-daughter theme. Was it these side issues, particularly the adoption theme, that was your starting point for the novel or was it the spectacular twist of the serial killer theme that first inspired the plot of Never Knowing? I’ve always been more interested in the dynamics of family and the psychology of crime, the motives and the after effects, than the crimes themselves. In this story it was the question of nature versus nurture which I found intriguing. Never Knowing begins with the narrator Sara talking to a psychiatrist who also appears in Still Missing, and will, you have said, also appear in your next novel. What advantages and disadvantages did you find in giving the psychiatrist a role in all three novels? 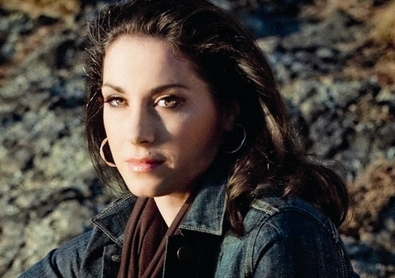 For Never Knowing, the advantage of working within sessions was that it gave me a way of explaining the psychological side of Sara’s struggle, without her going into a lot of dramatic monologues, and it was fun to show a character relating to Nadine, the therapist, in a different way. The challenge was that this is a faster-paced book, so she needed to visit more often. For Always Watching, the story is no longer in sessions, so that has been freeing in terms of structure, and as Nadine is a psychiatrist, the story can still have a strong psychology component. The challenge has been the amount of research that this novel has required. The film rights in Never Knowing have been optioned – and that’s hardly surprising since both the action and the psychological power of the novel are very visual. Do you see the scenes of the novel taking place in your mind as you write – and does it terrify you as you do so? When I’m writing my first draft I see the scenes like I’m watching a movie, and I experience the emotions along with my characters, whether that be fear, excitement, anger, or sorrow. Keeping a novel’s pace moving continuously throughout such a long novel as this is technically difficult, but you have achieved it with spectacular success, with some breathtaking plot twists. Do you consciously plan how to keep the suspense going? Some of it is conscious, and some is subconscious. I have a dramatic nature, so I intuitively feel when the story’s getting too slow, and I throw another obstacle in my character’s way. But I’m also consciously aware of pacing and will go through many times to weed out any slow or boring parts. Have you had any psychiatric training yourself? No, but I have always had an intense fascination with psychology. Your descriptions of the relationships between sisters and the effects of adoption are very effective. Are family relationships an area that particularly appeals to you? I’m intrigued with all sorts of family dynamics. I don’t have a sister, but it’s easy to imagine how it might feel in a situation like this, where you are the only one who’s adopted. I also read articles on issues that might arise for adopted children as well as their adoptive parents. The titles of your novels in themselves contribute to the pace and suspense. Did they come to you after the novels were written, or were they a starting point? Still Missing went through several titles, then this one came based upon a small scene in the book where Annie stumbles upon a missing poster after she comes home. The title for Never Knowing came early, when I was working on the outline, as did the title for Always Watching. I like to know the title before I start writing because I can weave elements throughout the story. The blog on your website indicates the part that dogs play in your life. Is Moose, from Never Knowing, based on one of your own? Moose is based on a close friend’s French bulldog named Eddie. He often stays with me, and he was my dog’s best friend before she passed away this summer. The Canadian countryside is used to great effect in Never Knowing. Do you walk the ground yourself before writing the scenes you set in it or are they all well knownto you? For Still Missing and Never Knowing, I relied on memory. For Always Watching, I wanted to go deeper into my memory and anchor all my senses, especially for the location of the commune, which is alongside a river at the base of a mountain, so I walked the area again. I also drove around in Victoria, where Nadine lives, to get a better sense of her world. Did you always want to write in the psychological thriller genre – and, please, when will the third novel in the trio be published? At some point my interests might change, but for now I can see myself staying with psychological thrillers. I’m sure family dynamics will always play some part in my stories. I’m still working on my third novel and don’t have a release date at the moment, but soon! That’s great news, Chevy – and thank you so much for your interesting answers to these questions.